Discussion in '3D' started by angelofmercy, Mar 23, 2019. Hi, this is not on this site and I was just happy to have cracked Corel tonight so decided to try the rest. Anyway I believe this crack is ok. I tested export and against the clock. I had to disable the help button due to the program failing in the debugger. So the 2 errors are now gone. Apologies if you come across any issues. But I did test as best I could. Make your movie epic with custom 3D titles, stunning effects and 3D animation! 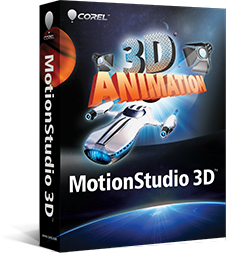 Corel MotionStudio 3D is packed with easy-to-use tools for 3D graphics, animated text, particle effects, motion blur and more. It’s everything you need for big budget effects—without the big budget! Creative titles and text let you tell your story, your way. Hundreds of presets give you the power to easily add excitement and impact to your movie with dynamic 3D titles. Now anyone can create 3D graphics, animations and visual effects in real time! Assemble and playback your 3D creations in real time in the Preview Panel. It’s easy to use your 3D titles, visual effects and 3D graphics in other video or web productions. Export your projects in a variety of formats compatible with VideoStudio® Pro X4 and other leading video-editing programs. Yeah I was never a Corel fan but they have come far over the years. Adobe is just more about money than making a good useable product these days. Corel isn't "stepping up" anything. This app is years old, and not even listed on their update or patch site. Its Ulead Cool 3D, bought by Corel, changed into this then trashed a short time later. How many apps have they done that to over the years. I've lost count. CORE keygen for it has been out for years. The reviews for it started 9 years ago. Only 32 bit but it runs fine on Win 7 64 bit. Its a good app. And one of the few apps that can handle .x format files. Been running it for years because of that ability..
Yeah I remember buying ULEAD Software in about 2003 I think. I never liked them. But as I cracked the latest version of Corel Suite I just thought see how hard the other stuff is. Plus some people prefer Corel on their screen opposed to ULEAD. Plus it's always nice to crack more software as the older a product gets the harder to find online. Plus I learn more as I go. I still prefer Cool Edit Pro 2 over anything today but sadly it doesn't run anymore.